Now before you conjure up images of me calling in the mob to schwack someone or picture me running around hitting people across the back of the head with a baguette (isn't that why the French invented such a long piece of bread it in the first place? ), the "hit list" name is merely my way of doing the same thing as everyone else but giving it a spicier name. That's simply how I like to roll - baking Grandma's recipe and slapping a new name on it. 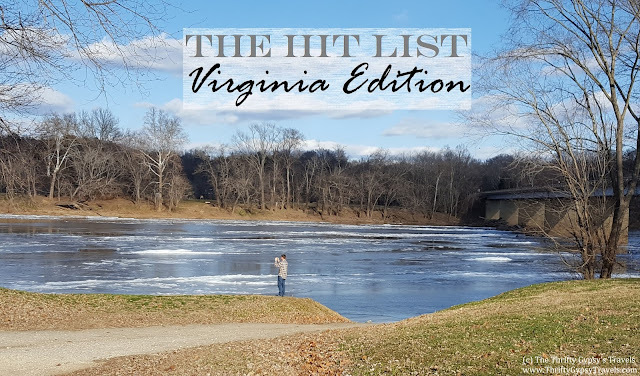 So I've come up with a 2018 Hit List for my home state, Virginia, since the chances of us excursioning internationally or too far afield within the U.S. are about as good as a snowball's chance under Hades' derriere at the moment. * It's just not likely to happen as I'm not fond of the idea of taking my waddling preggo self through airports with an especially active and precocious toddler. Nor do I like to do much on maternity leave except eat my feelings and anxiously wait for the baby pounds to drop off. Oh, and stare adoringly at a cute newborn's face. But we're lucky enough to live in a state that has mountains, beaches, rivers, history, modernity, and almost everything in between! With all these resources and attractions so close to hand, I've got a few ideas on what may actually be manageable for us this year. I've always had a fascination with old things and an appreciation for the finer things; the Virginia House satisfies both categories. Constructed in 1929 with materials from a sixteenth century manor in bonnie old England, the Virginia House is "a blend of three romantic English Tudor designs" with all the modern amenities of its early twentieth century construction. While I've visited nearby Agecroft many times, I've yet to explore the Virginia House. It will be open during Historic Garden Week in late April, so I'm marking the calendar to take a peek since it's otherwise open only by appointment. Toddler Gypsy is obsessed with sea turtles lately (thanks, Finding Nemo). So I think a trip to the aquarium is in order this year! I would love to visit the National Aquarium in Baltimore, but since it's closed for necessary renovations, we'll just have to drive down to Virginia Beach to find Crush, Squirt, Nemo, and all of Toddler Gypsy's little buddies at the Virginia Aquarium. Is there anything more mysterious and otherworldly than a swamp? It reeks of creepy tragedy. And it sometimes reeks in general, but that will not deter me! This has been on my bucket hit list since at least 2016. Let's see if 2018 is the year to finally go find an errant gator or two. The birthplace of country music is calling my name! 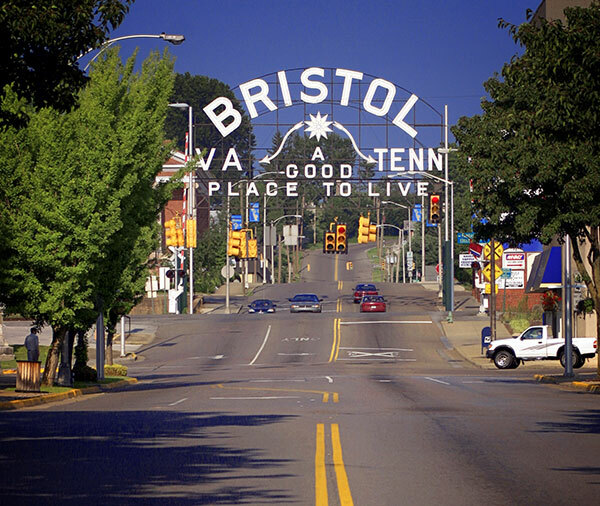 Another carry-over from my 2016 list, Bristol is technically two towns in two different states, but shares the same name. Straddling the state line right down the middle of the main road is a popular photo pose. I have a feeling that an excursion here will remind us of our trip to Mount Airy, North Carolina, last year, with perhaps a little bit more country music and bluegrass to its vibe. Past experience dictates that we are more likely to accomplish something if we keep the list focused and manageable under the constraints of a weekend getaway, so this year's list is limited to only four things. I've already booked a birthday trip to one of these locales, though, so here's hoping that we can enjoy all four before year's end! What are some places you're planning to see in 2018? *I wrote this back when I was pregnant with Baby Gypsy #2, born July 2017, but I forgot to post it! So while we are actively hoping, planning, and saving to return to Germany this summer, until our plane is in the air, I don't consider a trip outside the country to be certain.